Boshu Biwa, biwa fruit from the Boshu area of the Boso Peninsula, have been presented to the Japanese Imperial Family every year since 1909. Biwa are a typical taste of early summer in Japan. The large Boshu Biwa are especially juicy. 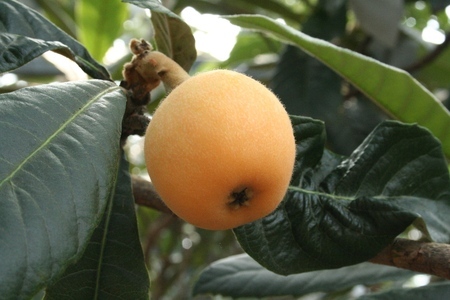 Next to apricots and citrus fruit, biwa are very rich in vitamin A. Biwa grown on farms are harvested in May and biwa growing in the wild are harvested in June. 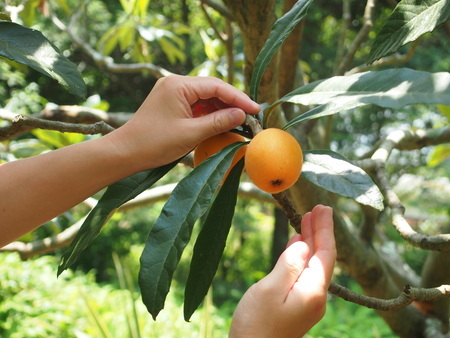 During this time you can go Biwa fruit picking, called “biwa-gari” in Japanese, meaning "biwa hunting."